Above: Watch the ECB press conference. The European Central Bank delivered its much-anticipated decision to start ending its money-printing programme but struck a cautious tone that saw the Euro fall. At its October policy meeting held in Frankfurt, the European Central Bank (ECB) announced that it will buy assets amounting to €30bn per month from January until September 2018, an announcement that is in line with median survey expectations ahead of the event. This is a cut from the existing purchase of €60BN per month of debt under its Asset Purchase Programme - also known as quantitative easing. Importantly though, the ECB left the Asset Purchase programme's duration open-ended, confirming a commitment to buy more if needed to push inflation back towards target. It is this gargantuan money injection that has ensured the Euro stayed below 'fair value' against the Dollar, Pound and other major currencies since its inception. By ending the programme, the Euro should be allowed to rally higher. But the problem for 'Euro bulls' - i.e. those wanting a stronger Euro - is that the announcement has been so well signposted there was likely to be little movement on the actual announcement. The Euro's reaction however confirms there were dovish details. The ECB reaffirmed its forward guidance on interest rates, which places the first interest rate increase “well past” the end of net asset purchases. Towards the end of the press conference, Mario Draghi dropped an important hint when he stated QE will not stop suddenly. "This suggests that net asset purchases will continue beyond September 2018 – although probably at a reduced pace. 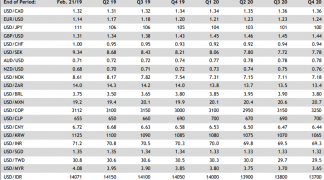 This is a dovish detail, which de facto extends QE beyond the announced nine months, probably to twelve months or even more," says Marco Valli, Head of Macro Research at UniCredit Bank. Valli notes the main implications are not so much in terms of additional asset purchases, which are likely to be small and will not make any incremental difference, "but in regard to the time of the first interest rate hike, which results from combining the signals from QE extension and the forward guidance." Indeed, it is hard to identify when the ECB's first interest rate rise in years will be delivered - a bearish observation when we consider that rate rises at the US Federal Reserve and even the Bank of England are well signposted. Remember, currencies tend to rise in cycles of rate hikes, hene the rise in the value of the Pound and Dollar against the Euro. "The door remains open for a further extension if the ECB feels a need, and there could be some ammunition left even with unchanged purchasing criteria. The outlook for (core) inflation will be decisive," says Nordea Markets' Holger Sandte. 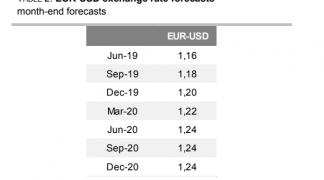 The tone struck by the ECB in delivering its policy changes have had an impact on the value of the Euro and could continue to weigh on the currency over the course of coming days. 1) it reiterated that it “stands ready to increase the APP (asset purchase programme) in terms of size and/or duration”. This preserves leeway for the ECB to ramp up asset purchases in case inflation surprises to the downside. The programme, therefore, remains open-ended for now. 2) the ECB maintained its forward guidance on interest rates, namely that they are expected to “remain at their present levels for an extended period of time, and well past the horizon of the net asset purchases”. Hence, Lloyds do not expect interest rates to rise until the second quarter of 2020. “In reiterating how long past the end of QE reinvestments will occur and when the first rate hike will be, the ECB struck a slightly dovish tone. It stated that maturing debt will be reinvested for an "extended period" after QE and that the first rate hikes would only come "well past" the end of purchases. That's been mentioned in the past, however reaffirming so today has been viewed as dovish by markets,” says Andrew Grantham at CIBC World Markets. For the economy, the decision means that monetary policy will continue to support companies and private households substantially for a long time. Indeed, "this is not at all the end of easy money but just a step in this direction," says Nordea Markets' Sandte. The tone employed by the ECB opens the door to the potential for further losses in the Euro. Looking at recent price action in the Pound-Euro exchange rate, it is worth noting that like Euro-Dollar, markets are holding a tight range. Whether or not what the ECB has said is enough to break these sticky levels remains to be seen, but there could be a risk of extended sideways action on the more-or-less on-message ECB event. Above: Can the ECB's communication move the GBP/EUR exchange rate out of a broadly sideways-orientated range? Strategists we follow argue the Pound-to-Euro exchange rate could break higher in the event of a 'dovish taper' from the central bank; a scenario whereby the pace and duration with which the ECB intends to turn off the taps proves to be slower than markets had expected. Such a dovish outcome would likely benefit the Pound. “If the ECB were to be more dovish than expected, EUR/GBP could drop to 0.8850 says Georgette Boele, a foreign exchange strategist at ABN Amro. EUR/GBP at 0.8850 equates to GBP/EUR at 1.13. "A more hawkish ECB will likely result in EUR/GBP moving back to 0.90,” adds Boele, references a scenario whereby the ECB announces a pace of withdrawal of stimulus which is more agressive than markets are expecting. EUR/GBP at 0.90 gives us a GBP/EUR exchange rate at 1.11. "There is scope for the 55 week moving average at 0.8729 to be reached,” says Karen Jones, a technical analyst at Commerzbank, which gives a Pound-to-Euro rate at 1.1456. While the ECB is unlikely to raise interest rates until 2020, the same cannot be said for the UK where rates are likely to be raised by the Bank of England in November and then potentially again in 2018. The latest predictions for such an outcome follow data which shows the UK economy regained some of its lost momentum during the three months to the end of September. Wednesday’s GDP report was broadly seen paving the way for the Bank of England to throw caution to the wind next week and to hike interest rates for the first time in more than a decade. This has been the driving force behind the Pound's nascent upturn. “While the market now expects the first hike in November, having recently brought forward its expectations from as late as 2019, current pricing suggests the market is anticipating only one further hike in 2018,” says Kallum Pickering, a senior UK economist at Berenberg. The market implied probability of a rate hike at the November 02 policy announcement rose from around 80% to nearly 90% off the back of Wednesday’s data. “We therefore expect the BoE to strengthen its guidance after the first hike, leading to a somewhat steeper gilt curve and possibly a stronger Sterling on a trade-weighted basis by the turn of the year,” adds Pickering. Berenberg forecasts the Bank of England will raise the cash rate by 25 basis points next week, taking it to 0.50%, and that it will follow this move with a further four 25 basis point hikes before the end of 2019 so that the base rate then sits at 1.5%. But not everybody is as hawkish as Berenberg’s pickering. “We continue to think that the MPC will be making a mistake by raising rates, and they’ll recognize this in the coming months, and it’s therefore overwhelmingly likely that they will not hike again for a long while,” says Daniel Vernazza, chief UK economist at UniCredit. Some, like UniCredit’s Vernazza, are warning that the BoE could be making a policy mistake by raising rates in the current climate, while others are simply suggesting the market is being over optimistic about the number of hikes the BoE can put through in the coming years. All of this is negative for Sterling over the coming months. “The potential for Brexit-related headwinds, whether it is to business spending or confidence more broadly, or the ongoing real income adjustment in the vulnerable household sector means we maintain the view that Bank Rate will be on hold at 0.50% throughout 2018,” says Sam Hill, senior UK economist at RBC Capital Markets. Hill flags that markets currently assign a 50% probability to another rate hike coming in February 2018 but says this would be inconsistent with the BoE’s guidance that rate hikes will be “gradual and limited”. He also observes that the central bank may be constrained by a tepid economic environment when it comes to how many rate increases it can put through. 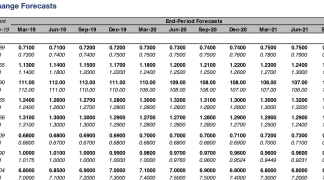 If any of this is correct then it may only be a matter of time before Sterling’s rally on Wednesday and any follow-through that comes Thursday begins to be unwound as market expectations for future rate hikes come back down to earth. Contrary to the prevailing narrative among many in the financial world, some strategists and forecasters believe the UK economy is in less of a vulnerable position than others have suggested. “At 4.5% UK unemployment is at lows not seen in 5 decades. UK asset prices are booming. In 2016 UK household wealth rose by ~GBP900bn to beyond GBP10Tr for the first time. That ~GBP900bn growth is around 50% of GDP,” says Ben Powell CFA, a multi-asset class content salesperson at Swiss bank UBS. Moreover, rather than attempting to mitigate FX-induced inflation, Powell argues that the Bank of England’s priority in forthcoming rate hikes is heading off a bubble in consumer credit. "UK borrowing has never been cheaper. Outstanding resi mortgages cost 6% 10 years ago and 2.7% now; new lending is at 2.3%. Nearly half of today's unsecured personal loans cost less than 5%; Sainsbury's and Tesco's banking arms are advertising unsecured loans at ~3%, some for up to 10 years in duration," says Powell. Powell might have a point as UK Finance data showed Wednesday that consumer lending growth edged higher to +5.5% on an annualised basis, from already high levels, at a time when real incomes are mired in a renewed contraction. “Clearly it's a matter of judgement, but it may be the case that the Governor thinks supermarkets offering 10 year unsecured loans for ~3% feels a bit punchy. There is also a boom in car financing,” says Powell. Powell suggests November’s eagerly anticipated interest rate hike from the Bank of England will not be a one off, but the beginning of a broader cycle of tightening monetary policy. 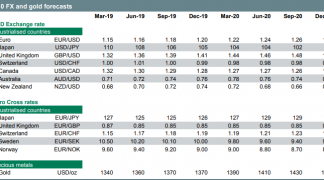 As a result, and in contrast to the concerns put across by strategists in the wake of Wednesday’s GDP report, it appears possible that markets may not be pricing a sufficient number of rate hikes over the coming quarters.